Bloggers write less than they think they do, and they curate more than they realize. Most of this is due to the nature of blog posts. They tend to be a mishmash of mediums and sources. For example, we’re advised to include an image every 350 words or so. It’s also a good idea to link out to respected sites. And when you link out, usually you’re doing it to reference what someone else has written. Whether it’s a quote, or a reference, or an image or a video, the blog post as a genre has an affinity for curation. 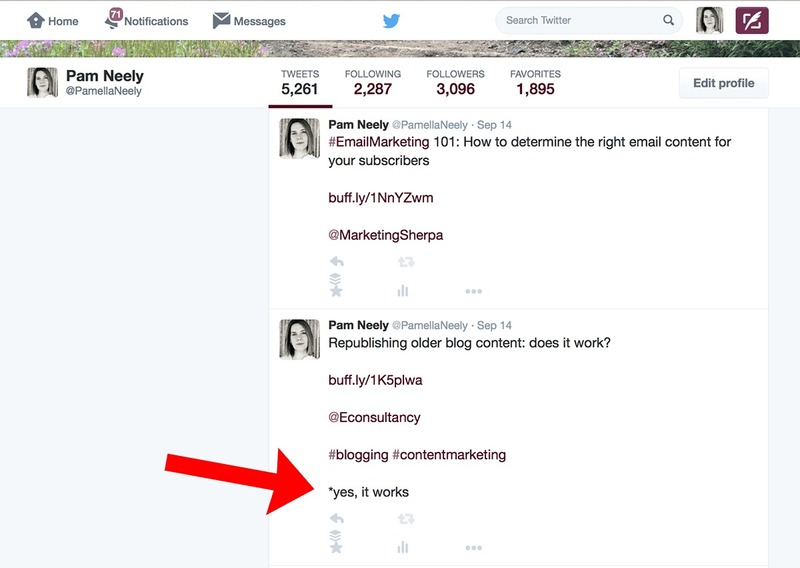 In fact, many of the best practices I just mentioned for posts are curation themselves. Photographs are usually curated. Research is almost always curated. And quotes and links are clear examples of curation. This is a screenshot of one our older posts. It’s got several images, links, and two references to other publishers’ information. In other words, it’s almost entirely curated content, plus some copy to weave the whole thing together. Blog posts tend to take another step towards curation when you consider a part of curation that’s too often ignored: the practice of commenting on what you curate. Many of us – myself included – are a bit lazy with our content curation. We spend the time to find and share good stuff, sure. But when we share the stuff, we don’t add our own commentary. We might tack on a hashtag, but that’s about it. Many of us (again, me included) rarely bother to add a phrase or two of commentary. I should be adding more commentary to the content I curate on social media. Adding hashtags isn’t enough. But I did get in three whole words of commentary in one of these tweets. By then, we’d practically be blogging. 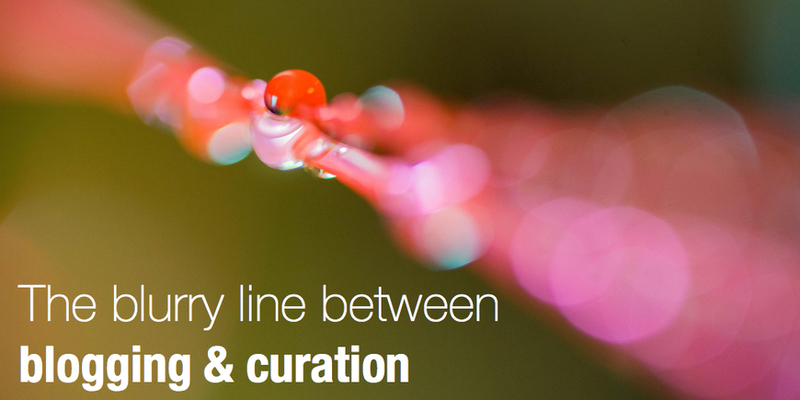 The blurry line between blogging and curation. To understand this better, let’s imagine content curation in different content formats as a spectrum. On one side of, we’ve got blogging. The type of blogging that has a few references to other sources, uses a few graphs and maybe a few images, and has a few quotes. 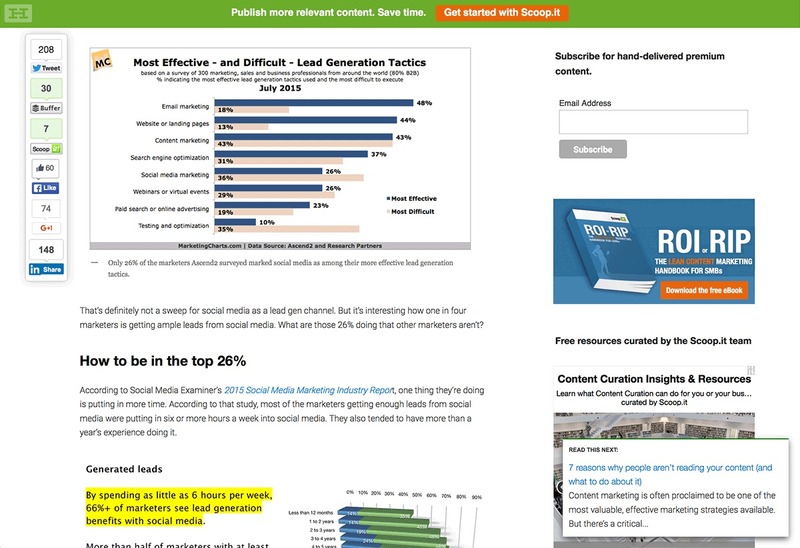 Blogging that’s, say… about 20% curated content. The remainder of the post includes lots of commentary on all that curated content. There’s also usually some discussion about how all those curated elements fit together to create the theme or topic the post is about. On the other side of the spectrum, we’ve got the shared content stream (all curated) that people like me put out in our social media accounts. It could be a Twitter feed, or a Facebook page, or a Scoop.It account. That content could be about 80% curated. I say that because for about every five posts I publish, one post promotes my own stuff. This is a common – and recommend – promotion mix. It’s enough of other peoples’ content to create a good feed of industry information and ideas, but just enough of my own content to get some exposure for my own work. Here’s what we’ve got so far on the spectrum. On one side, a standard, well-researched blog post that’s maybe 20% curated. On the other side, a curated social media account/feed…but without much commentary on the curated content. It’s about 80% curated. · The list of tools post. · The list of studies post. 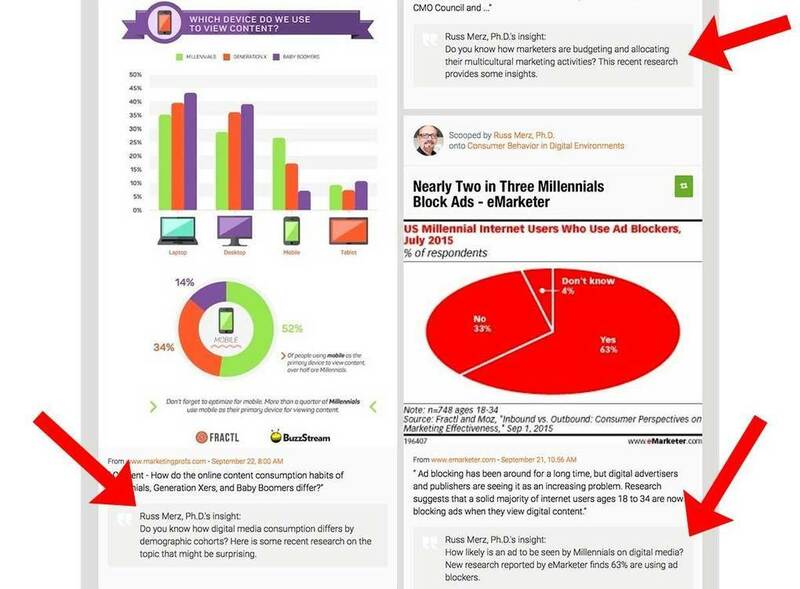 · The case study post… if it draws from someone else’s case study. · The “list of statistics” post. · The “round up” post – experts’ opinions. You probably saw this coming a few paragraphs ago, but by the time we get to round up and interview posts, we’re looking at content that’s more than 50% curated. That’s content with more curation than a curated social media feed, assuming it’s got some commentary. Let’s circle back to my social media feed example. You know, where I was sharing curated posts about 80% of the time. It was only 80% curated because some of my own content gets sprinkled in, about one piece of my content for every four pieces of other content. And unfortunately (because I am lazy), I was not adding much commentary to those shares, aside from a couple of hashtags. But let’s say I started to do a better job with my curation, like Dr. Merz does in the example below. And let’s assume I was not limited to Twitter’s 140 characters. If I was building my curation stream / social media feed on Facebook, LinkedIn, Google+, Pinterest or Scoop.it, I could have more room, and add a few sentences. On ScoopIt, I could even add a few paragraphs. That would take my social media feed from being 80% “pure” curation to more like 50% or less of pure curation. If I did a really thorough job of the commentary, and grouped the curated content into tight categories, I’d have the rudiments of a blog post. In other words, after I start commenting on my curation in that social feed, suddenly there’s not much difference in the ratio of “content” to “curation” between the blog posts and the social media feed. And when you start counting the commentary on the curated content as curation, too, suddenly the blog posts are almost entirely curation. The social media feed is too. When it’s hard to tell the difference between content and curation. Maybe this all feels like I’m bending the definitions of blogging and content curation too much. Maybe all we’ve got now is a tangled knot of stretched out definitions. But perhaps we’re not recognizing how much curation goes on in blog posts. And perhaps we should try to bring in more context and commentary to our social feeds and pure “curation” streams. Did you see it? “Curating” is included in CMI’s definition of content marketing. And I’ve just added another piece of curated content to this post. Are blog posts mostly curated content? Or does that really only apply to blogs in certain industries and by certain authors? Should blog posts have more, or less, curation in them? And are we slacking off by not adding more commentary to our curated social media posts? Are there enough benefits to that to make it worth our time? We’d love your thoughts on this, pro or con. Tell us what you think in the comments. 1 Comment on "The blurry line between blogging and curation"
It does beg the question of who is producing the original content in the first place. 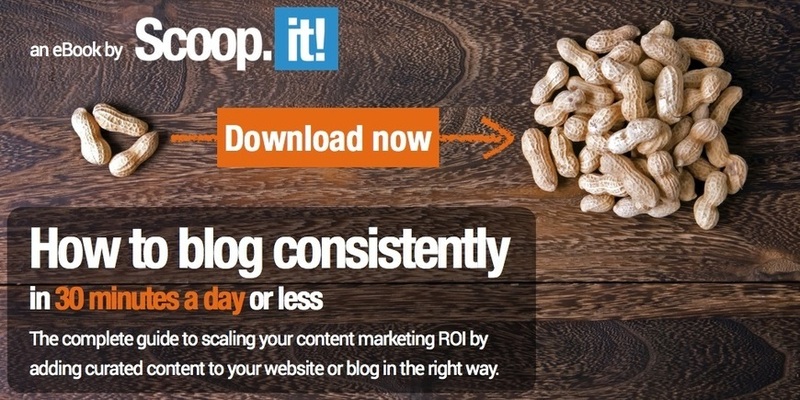 If there are so many blog posts curating content then doesn’t it just get watered down?